Beach Burrito Company is a cute mexican restaurant in the heart of Coogee (on Coogee Bay Road just up from the beach) but tucked away back from the road a bit in a little courtyard. I am amazed that I never knew about this place before last night, having lived in Maroubra for a number of years. We were meeting for a girls dinner and someone had suggested Beach Burrito Company. As always before heading off to a restaurant I went online to make sure there would be something gluten free that I could eat. The menu listed the BBC Tacos as gluten free and I therefore assumed they would know what I could eat! First impressions of Beach Burrito Company is it’s a cute little backpacker type place (they serve your meals in a plastic red basket with baking paper), great for a summer evening. Even better you order at the bar which means you don’t have to worry about working out who owes what at the end! The staff were very helpful in letting me know what I could have. 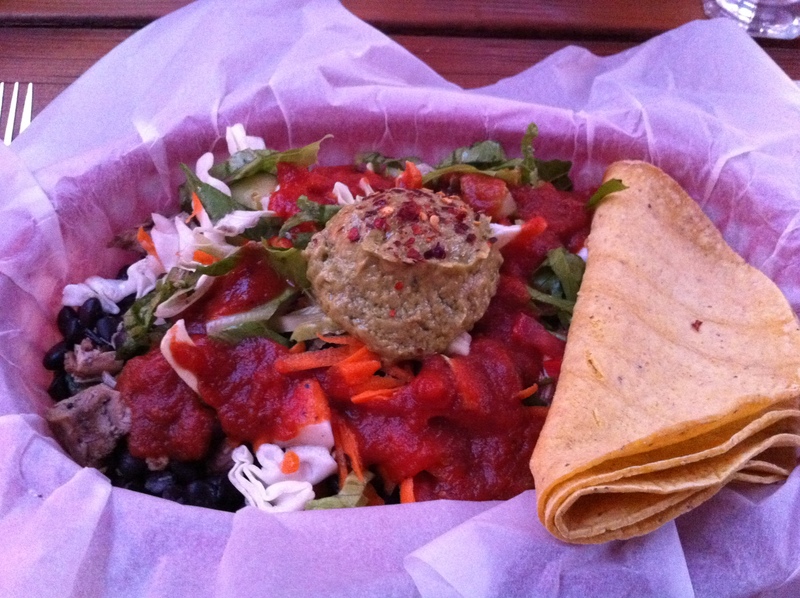 I decided on the BBC Chipotle Chicken Salad (crispy flour tortilla as the bowl filled with your choice of filling plus black beans, blended cheese, pico de gallo (diced tomatoes, coriander, spanish onion and garlic tossed in lemon juice and salt) lettuce, cucumber, carrot, green onion, cabbage, topped with guacamole and salsa) without the crispy flour tortilla. They offered to put some corn (gluten free) soft tacos on the site which I said would be great. The food was quick to come out and everything smelt amazing. My meal was tasty, filling and great value for money ($13.95). Everyone enjoyed their meals and were highly satisfied at the end. 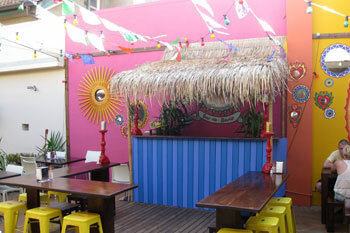 Beach Burrito Company also have restaurants at Bondi and Cronulla. Have you discovered a restaurant you never knew was there? Why did I not know about this place earlier?! What is your favourite dish? ahaha that first pic alone makes me want to swing by! yumyum i love burritos!